Sony Pictures Animation Friday announced the addition of three new cast for the lineup of talent in the next Smurf adventure Smurfs: The Lost Village, hitting US theaters March 31, 2017. 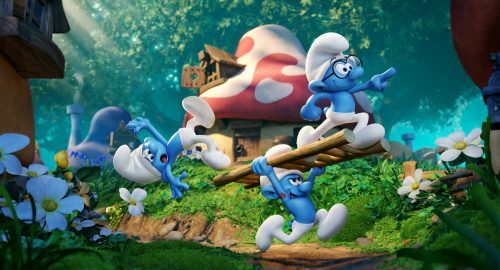 The newest entry in the Columbia Pictures movie franchise that has grossed more than $900 million globally, Smurfs: The Lost Village is set for a worldwide release on March 31, 2017. The fully-animated return to the tone and style of the beloved comic book creations of Peyo is directed by Kelly Asbury (Shrek 2, Gnomeo & Juliet), produced by Jordan Kerner (Charlotte’s Web, The Smurfs), co-produced by Mary Ellen Bauder (Hotel Transylvania), and executive produced by Raja Gosnell and Ben Waisbren.